According to Nielsen’s law of Internet bandwidth, the speed of a high-end user’s Internet connection should grow by 50 percent each year. Since 1983, this prediction has been essentially accurate — researchers are now experimenting with 1 terabit (Tb) transfer rates for wired connections, a far cry from the 56 kilobit (Kbps) rates initially available to consumers. But how did Internet connectivity get from there to here, and is there still room for improvement? The Internet was not always a global network, a free-for-all of information and applications. In the late 1960s, the precursor to the modern Internet was an experiment conducted by the Advanced Research Projects Agency (ARPA), a branch of the US Department of Defense. In 1969, ARPANET came online with speeds of up to 56 Kbps. This network was used to connect government agencies, private companies, and universities for research purposes only; commercial use was banned. ARPANET was decommissioned in the 1980s and replaced by the National Science Foundation’s NSFNET. It too began at 56 Kbps but was upgraded to T1 lines at 1.544 megabits per second (Mbps) in 1988 and T3 lines at 45 Mbps in 1991. 1993 saw the introduction of the World Wide Web, managed by large telecommunications providers instead of the federal government. NSFNET was retired, but much of its original infrastructure backbone was transferred to private control. In 1994, the network received its final upgrade to 145 Mbps. While these speeds are solid even by today’s standards, most users only had access to dial-up connections until early in the 21st century, meaning 56 kbps was their maximum transfer rate. Canada deployed the first North American broadband network in 1996. Between 2000 and 2001, the number of broadband subscribers increased by 50 percent, and in 2010, over 65 percent of American households used broadband. 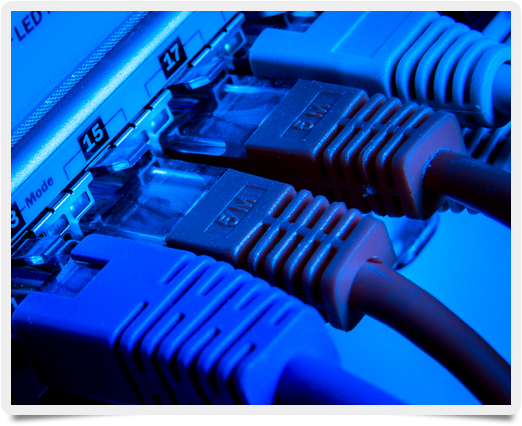 The term “broadband” refers to any connection faster than dial-up, including ADSL, which relies on phone lines, and cable, which relies on coaxial television cables. The speed of broadband also varies significantly by provider, location, and connection type. For around $40, urban users can get 5 Mbps download and 2 Mbps upload speeds, while $50 buys 30 Mbps downloads. Companies now offer broadband speeds of up to 100 Mbps. Typical broadband Internet is also being replaced in some major urban centers by fiber-optic cables. Instead of transmitting signals over copper wire, fiber-optic cables transmit pulses of light. This permits a much greater speed with less signal “noise.” Several companies have already rolled out 500 Mbps download plans, provided you’re willing to pay. Internet connectivity is at an all-time high, but much of the infrastructure used to support the Web isn’t anywhere near bandwidth capacity — meaning there’s still speed to spare.